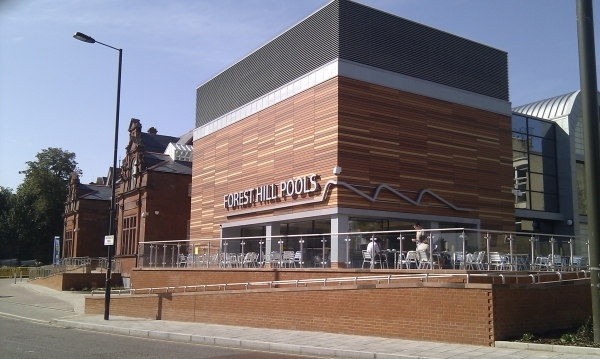 The Forest Hill Society isn't just about campaigns and petitions and planning objections. We do occasionally like to get together for a bit of fun. 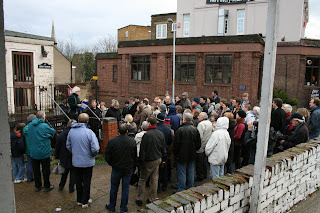 On the 21st January, about 30 members enjoyed what we loosely described as a pub crawl. It was craftily designed to take in both Honor Oak Park and Forest Hill allowing people to join and leave as convenient. The first stop was Bar Equal with its extensive choice of cocktails and the rare dark Budweis on draft. Jason kindly opened up his tapas bar, Tapastry, over the road especially for us and provided some welcome nibbles. Then it was a short trek to probably the only true backstreet boozer in the area (shamefully, many of us were unaware of this traditional hostelry) - the General Napier in Bovill Road. There were gasps of "change from a fiver for two pints!". Finally, we finished at the Foresters (see picture below), where Richard laid on some lovely nosh to soak up the alcohol. A great evening for making new friends! 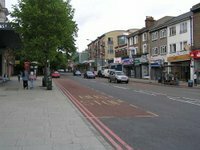 There was less drinking and more walking on the History Tour of Forest Hill on 25th February, led by local historian, Steve Grindlay. A lesser man would have been a bit intimidated addressing a sea of 70 expectant faces (we hadn't expected the Tour to be so popular!) but Steve rose to the challenge magnificently. We started at Christ Church on South Road before we were led into ever higher altitudes, culminating on the summit of Canonbie Road. On the way we encountered militia groups, a canal, a German Girls School, a folly and Walter de la Mare! Steve is a fantastic source of information and conveys it with great enthusiasm. We'll try and persuade him to devise another History Tour for us in the not-too-distant future.